Complaints to the Canadian Transportation Agency about air carriers flying in this country reached 5,500 in 2017-2018 — almost 10 times the number in 2012-2013, when 583 complaints were filed. Some industry watchers say better awareness of the complaints process has prompted the spike. ​Complaints to the Canadian Transportation Agency about air travel in this country have spiked over the past five years, reaching more than 5,000 complaints in 2017-2018. That's almost 10 times the number the agency received in 2012-2013, when 583 complaints were filed. The massive increases have occurred across the board, with huge spikes in complaints about everything from baggage and ticketing, to reservations and boardings that were denied. The CTA received 1,325 complaints about flight disruptions last year. That's almost double the number of disruption complaints in the previous fiscal year. All major carriers have had more grievances filed against them, including Air Canada, WestJet, Air Transat, and Porter Airlines. The latest data does not include some of the new ultra low-cost carriers that have just entered the market, such as Flair Air or Swoop. Industry watchers say it's hard to pin down exactly why the numbers have risen so dramatically, but the head of the CTA says a publicity blitz that started in 2016 has raised awareness about the agency. "I think the increase in numbers means that travellers are becoming more aware that there is recourse available to them," said Scott Streiner, CEO for the CTA. "In the past, fewer people knew the CTA was available to them if they had a problem with a flight that they couldn't resolve with the airline." While flights are busier than ever, Karl Moore, an associate professor in the Desautels Faculty of Management at McGill University, doesn't think service has gotten significantly worse. "Largely this is about better reporting and people having easier lines of communication to complain, and they do. But I think we're in actually in pretty good shape in Canada, relatively, compared to the U.S. and parts of Europe and Asia." Whether passengers leave satisfied with the CTA process is another question. Streiner notes about 95 per cent of complaints are resolved through facilitation or mediation, meaning passengers haven't demanded the dispute go to a more formal adjudication process. But the CTA can't offer compensation for inconvenience or distress. It can ensure that an airline has followed its own tariff, which is the contract that exists between an airline and its passengers. The airline writes that tariff itself. "It's not a battle of equals today. The power is truly on the side of the airline." Edmonton resident Elham Hedayati has spent more than a month making phone calls and sending emails, trying to resolve a dispute with Flair Air, which cancelled her mother's flight from Toronto to Edmonton. "I said, 'You created the problem, you need to resolve it,'" Hedayati said this week. In June, the airline cancelled the 10 a.m. flight that Hedayati had booked several months prior. She says she was offered a flight that would depart at 7:30 a.m. — a time she thought was too early for her elderly mother. Any other flight back would have cost her more money. After a lengthy dispute with the airline, Hedayati ended up booking a flight home with a different airline. But in order to get a cheaper price, her mother had to spend an extra 10 days in Toronto before boarding a plane home. "It just seems like there were no rules." It's such cases that make Ryder, from McMaster University, support a passenger bill of rights. 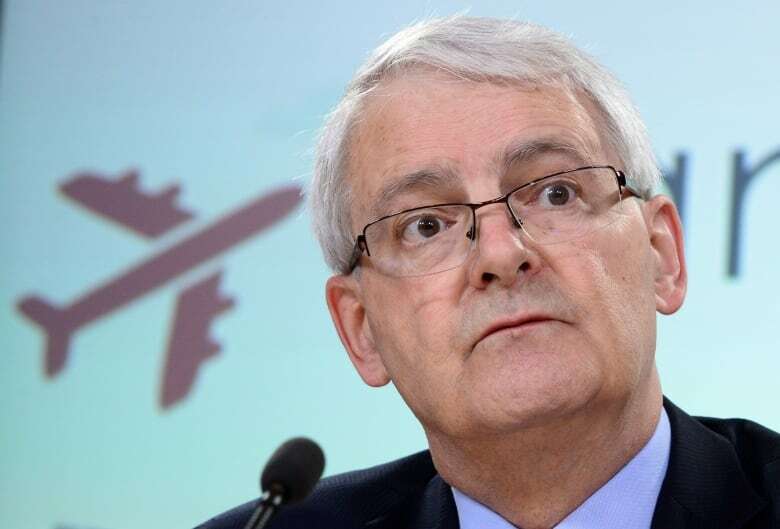 Transport Minister Marc Garneau announced last spring he would introduce legislation that would hold all airlines to a common set of rules for passenger treatment. "He sensitized us to the issue when he came out and said airlines aren't treating you well enough," said Ryder, noting this might have also contributed to the rising number of complaints to the CTA. The bill became law this year. It's now up to the CTA to develop the regulations. The organization is currently doing public consultations, and should have early recommendations ready by this fall. Streiner said Canadians want a fair compensation scheme that sets out how much every airline must reimburse customers for avoidable flight delays or cancellations. The CTA will also look at minimum standards of treatment — such as offering passengers food and water if they're stuck on the tarmac. "One of the things we heard loud and clear across the country, is that people want to make sure their basic rights, and the recourse available to them, are communicated in simple language at the right times — like when you buy a ticket or when you're checking in. "And they also want the airline to communicate clearly when something's happening." Elham Hedayati says better communication with her airline would have been appreciated. She was initially given a phone number to call, but it directed her to a mailbox that was full and wasn't accepting new messages. Later, her emails would sometimes go unanswered for weeks. "I had to go through all of these hassles and stress — myself and my mom."